Modern Drummer Festival 2003 featured almost unprecedented cross-section of great drummers and percussionists! This DVD set captures almost 6 hours of incredible performance footage from this amazing event. 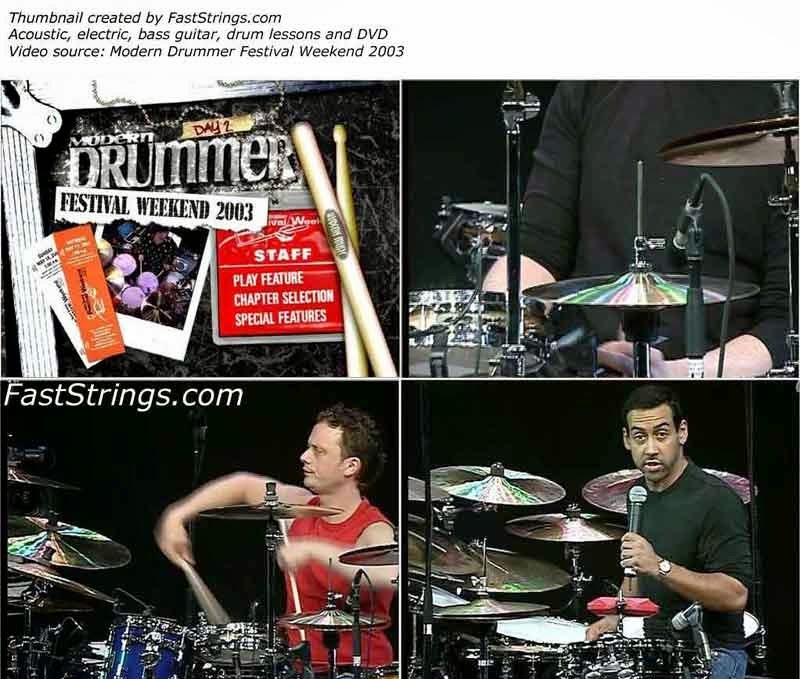 Some of the best drummers and percussionists from around the globe at one of the greatest drum festivals in the world today recorded live at Montclair State University, in Montclair New Jersey, on May 17th and 18th 2003. Matt Wilson & His Quartet (Martin Wind – bass, Andrew D’Angelo – sax, Jeff Lederer – sax). Mike Portnoy & Dream Theater (John Myung – bass, John Petrucci – guitar; Jordan Rudess – keys). Shawn Pelton & House Of Diablo (Conrad Korsch – bass, Jeff Golub – guitar, Brian Mitchell – keys, Clark Gayton – trombone). thanks adm, thank you so much….